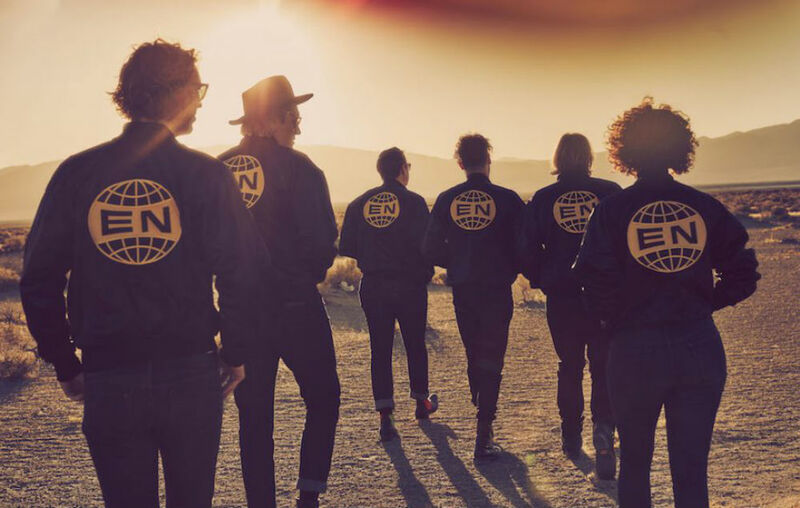 Having performed the song live for the first time at a surprise show in Barcelona on 1st June, Arcade Fire has now released ‘Everything Now’, the title track from the band’s fifth album due out on 28th July. The new album is Arcade Fire’s first release under its new partnership with the global media and e-commerce platform Everything Now in synergy with the Sony corporation. Everything Now was produced by Arcade Fire, Thomas Bangalter and Steve Mackey, with co-production by Markus Dravs. The album was recorded at Boombox Studios in New Orleans, Sonovox Studios in Montreal, and Gang Recording Studio in Paris. ‘Everything Now’ is available with pre-orders of the album and is now live on streaming platforms. Physical configurations of Everything Now will include CD, cassette, and heavyweight black vinyl LP—which will feature 20 different artwork variants, each bearing the album title in one of 20 different languages. There will also be a limited exclusive ‘Night’ packaging of both CD and coloured vinyl LP formats. Posted on June 6, 2017, in video and tagged Arcade Fire, Daft Punk, live, video. Bookmark the permalink. Leave a comment.